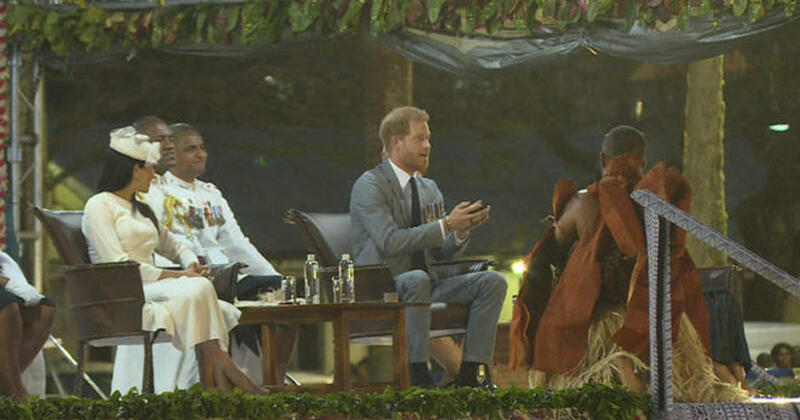 SUVA, Fiji – Prince Harry and his wife Meghan arrived on Fiji Island on Eighth Day of their South Pacific Tour . They were first greeted by a guard of honor at Nausori International Airport before they walked into a packed Albert Park, where they were presented with a whale tooth and the ceremonial drink: Kava. 1; almost frightening memories of their warrior past. The year 1953 was when Queen Elizabeth and Prince Philip came to the island as part of their first Commonwealth tour. On this island in the South Pacific, the popularity of the Queen, which was forged decades ago, was passed on to her next generation.